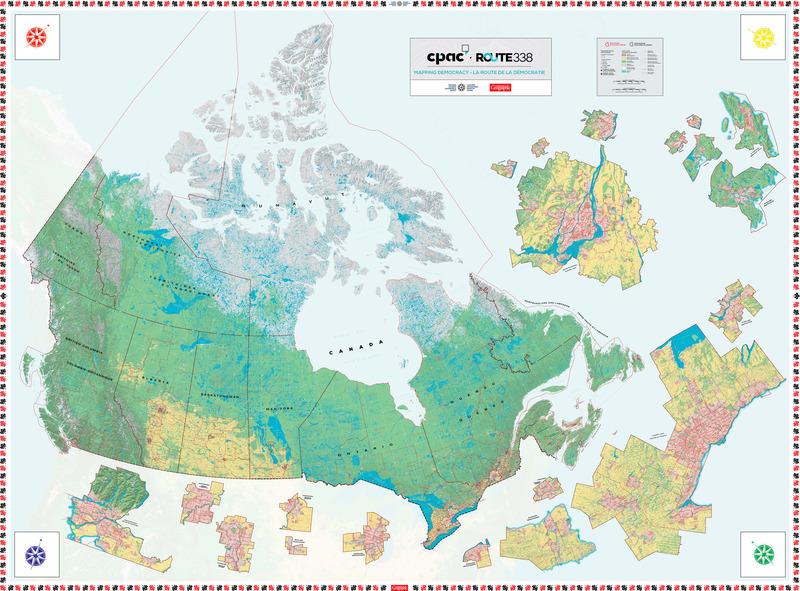 Canadian Geographic Education and the Cable Public Affairs Channel (CPAC) have come together in a unique opportunity to engage students in democratic literacy with a giant floor map detailing all of Canada's 338 federal ridings. This massive, 8-by-11-metre (24-by-36-feet), floor map will tour schools across the country. It’s available on loan free of charge for a 3-week period throughout the school year and by special request during the summer. Teachers can book the CPAC Route 338 map by clicking here. CPAC Route 338's map is accompanied by 11 curriculum-linked learning activities designed to teach primary to senior students about the many facets of a democratic society. You can find these lesson plans here. Not enough room for a giant floor map? This tiled map of CPAC Route 338 can be printed in separate pieces and put back together faster than with a puzzle in your own room. You can download the tiled map here (89MB). 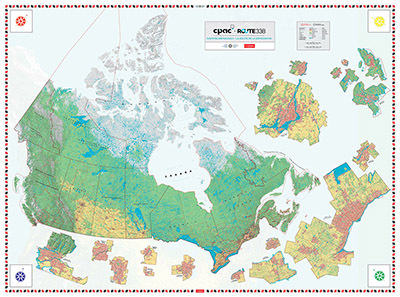 Chris Brackley is the lead cartographer at Canadian Geographic. In this short video, Chris explains the process behind designing CPAC's Route 338 giant floor map.